Review: Young Hawaiian surfer Johnny Kapahala (Brandon Baker) gets a rude awakening when his dad relocates to Vermont -- a state seriously lacking in waves. A prodigy, and the grandson of surfing legend Johnny Tsunami (Cary-Hiroyuki Tagawa), he struggles to fit in at a private school where everyone skis. Luckily for Johnny, he meets public school student Sam (Lee Thompson Young), who instructs him in the art of snowboarding. And when a rivalry brews between Johnny and snooty skier Brett (Zachary Bostrom), they decide to settle their rivalry on the slopes. 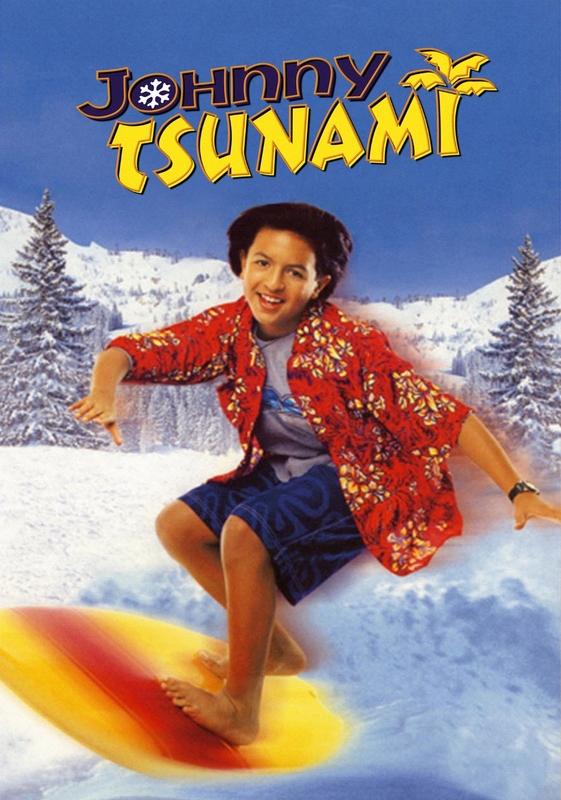 Johnny Tsunami is without a doubt, on my Mt. Rushmore of Disney Channel Original Movies. This movie is a fun, mindless underdog story. It's super cheesy, where you have this kid who excels at surfing, but when thrust into his new environment in Vermont, finds solace on another kind of board. The effects in this movie aren't bad, and the snowboarding looks authentic. It's the perfect childhood, feel-good movie, and one that evokes all the nostalgia of watching the Disney Channel growing up. It's funny to see Cary-Hiroyuki Tagawa as the wise surfer bum grandfather, instead of his usual villainous roles such as those in Showdown in Little Tokyo or Mortal Kombat. All in all, this movie is pure fun, and not meant to be taken seriously. I highly recommend this film to young kids, especially those interested in action sports. Fun Fact: Cary-Hiroyuki Tagawa is only 9 years older than Yuji Okumoto, who plays his son. Free Newsletters | Go Shopping | Where Are They Now?